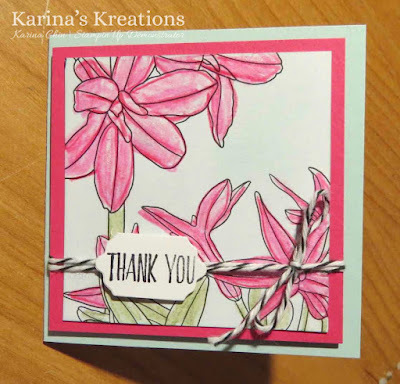 Karina's Kreations: Stampin'Up Inside the Lines Designer Paper Card! 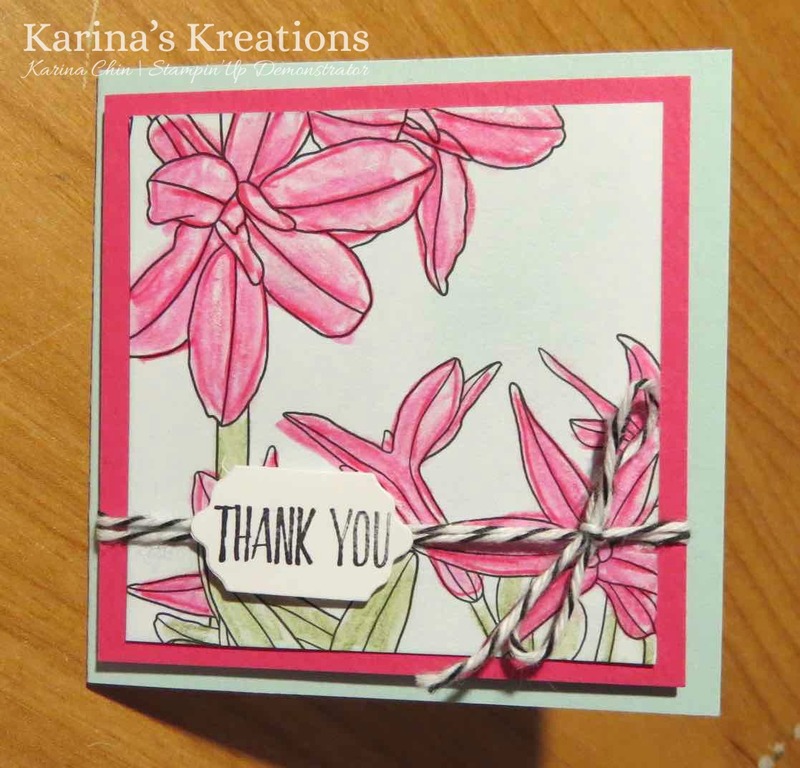 Stampin'Up Inside the Lines Designer Paper Card! Do you love to color? If you do, consider purchasing the new Stampin'Up watercolor pencils #141709. They glide smoothly over the card stock and easily blend using the Stampin'up Blender pen #102845 or aqua painter 103954. Stampin'Up has an ordering special on now. When you purchase $60.00 in product you can choose an item for FREE from a special catalog called Sale-a-bration. The Inside The Lines Designer Series Paper is one of these free items. I lightly sponged Soft Sky ink over the designer paper, colored my image with the Watercolor pencils and blended the colors together using a blend pen. This is how my card turned out. Isn't it pretty? The sentiment is from the new All Things Thanks stamp set #143097. I used the Lots of Labels Framelits to cut out my sentiment #138281.